We now live in a world, where a person during his entire life is exposed to various kinds of risks and stresses. He can be in stressful situations throughout the day which can affect not only his health but also his psychological state in the future. Let’s take an average family, for example, a husband, wife and two children. The man works full time, five days per week, eight hours per day. The wife may be taking care of the children and even working a part-time job. From early in the morning, the man may experience stress while driving to his workplace due to traffic. Far too often, things outside of our control, like traffic, can make us late for work and therefore force us into a situation of anxiety. Throughout the workday, all sorts of problems need solving. As an office worker, there’s deadlines and reports that need to be completed on time. As a builder, there are tasks that need to be completed in short timeframes under high-pressure situations. What happens after work? More traffic, of course. Psychologically tired, the man arrives home and doesn't have the energy to give family issues the time they need. Doesn’t find time to pay bills, to purchase essentials, plan a budget or research the next vacation. This leads to the family registering for various services to facilitate their own lives, to quickly and easily solve the issues of daily life. These services help with the monotony of managing the day to day life. For example, banks provide an opportunity to automatically pay the bills. But here comes a huge problem, an invasion of privacy. How strongly does this family think about its privacy and disclosure of personal data to third parties while registering for online stores, banks, internet services, websites? Think how many places you’ve had to provide your personal information, including your name, surname, date of birth, email, home address, phone number, and bank data. How deeply do everyday people think about where their personal information is being stored, and who could gain access? Most likely never, until a problem arises. 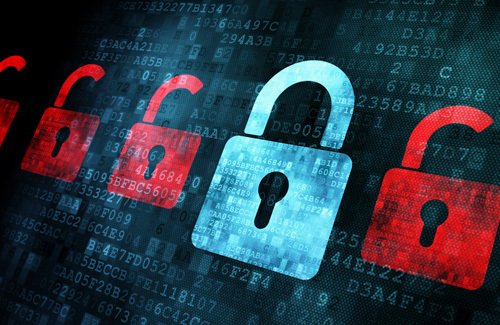 Personal data registered on various services are stored on centralized servers, which can be an easy target for hackers. Hackers can not only steal your data to use it for their own purposes such as for sale to third parties or for blackmail but also can get the history of your purchases, where the money came from and to whom, transaction amounts and even bank account details. Additionally, bank account details can be reached by other means - through a credit card, for example. Just go to a website that accepts cryptocurrency CLOAK and select the product you need and like. Next, fill order details (most likely you will only need to specify the delivery address) and transfer required amount in Cloak. The ENIGMA system completes the transaction anonymization process (more details can be found here) and the merchant receives CLOAK Coins for the goods, and only they know where it came from. Looks very simple? Because it is. Despite the fact that the anonymization process itself, is rather complex, the ENIGMA system provides a user-friendly way to ensure no hacker or third party will take possession of your personal information and therefore will not be able to take advantage of it for their own personal use. Returning to the problem stated in the first paragraph of this article, I would like to conclude that, although a person can constantly experience psychological pressure or be at risk of some domestic problems, it is very important to protect himself, his family and his personal data from the invasion of third parties and to not entrust centralized systems. If thanks to this, you can sleep better and be even be just 1% healthier - it's worth it. Cryptocurrency Cloak was designed to facilitate private, secure, decentralized & untraceable transfers with ENIGMA. 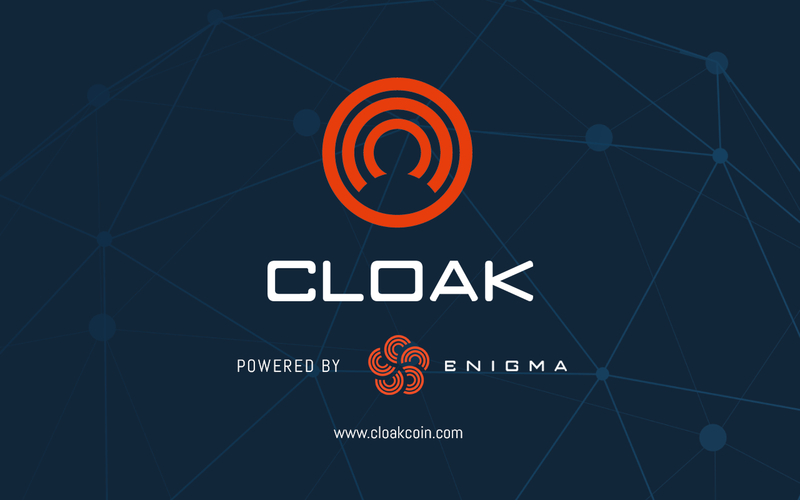 CloakCoin was one of the first digital currency concepts in the crypto market to address this inadequacy, and was introduced in 2014 with the aim of enabling people to use a coin that would provide total privacy, in a world that is more and more encroaching on the freedom of its population, stating real and perceived threats to national security as a reason to 'protect' its citizens.